Pristine Cool is a homegrown, full-service H.V.A.C. 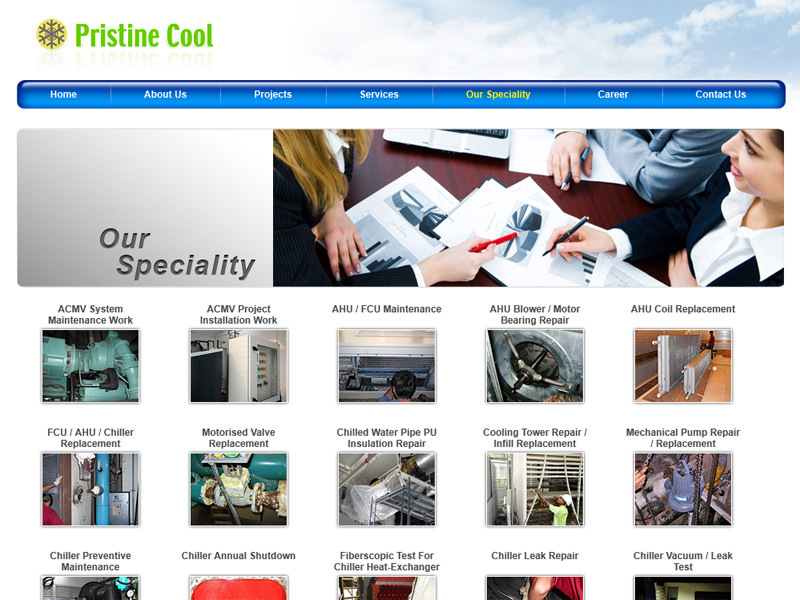 contractor equipped with the capability to install, service and maintain a wide range of cooling systems and equipment. 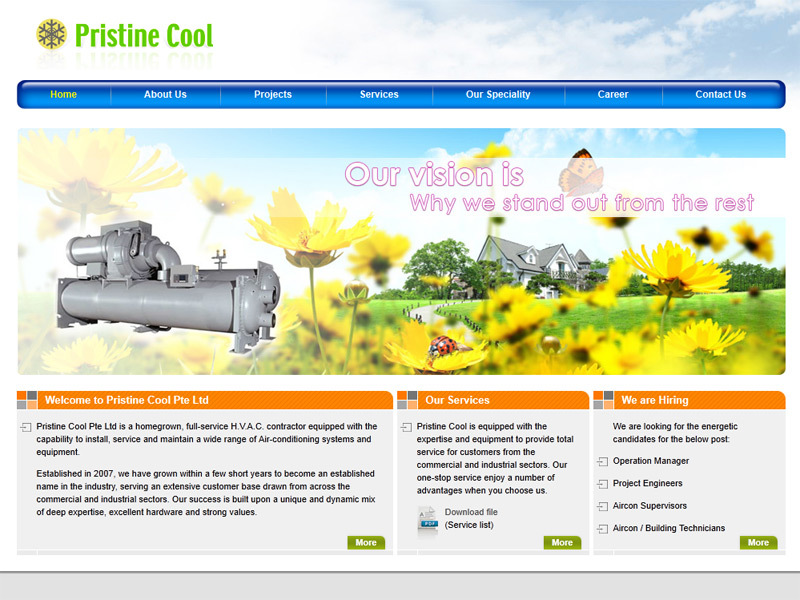 Established in 2007 in Singapore, Pristine Cool has grown within a few short years to become an established name in the industry, serving an extensive customer base drawn from across the commercial and industrial sectors. The beauty of nature, expressed in blossoming flowers and flitting butterflies, evokes the kind of gentle, comfortable experience that comes when one chooses to engage the services of Pristine Cool. 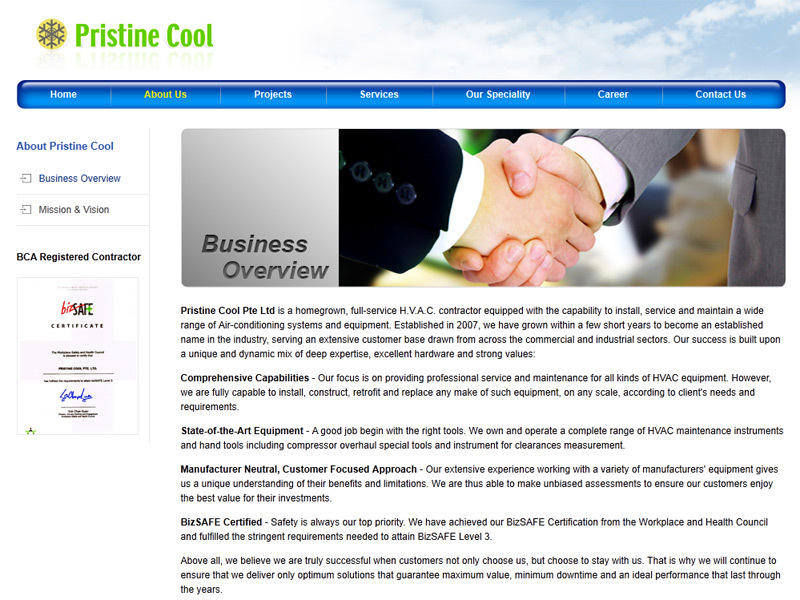 However, a high degree of functionality is also built into the site to allow customers to easily reach the company online to find out exactly what Pristine Cool can do for them.